Breve dated 20 December 1889, signed on behalf of the pope by Mieczysław Cardinal Halka-Ledóchowski. Document bestows certain liturgical favors on the Basilica of Saint Nicolai, Nantes France. Dimensions: 15.25″x5.25″. Bears the red rubber stamp papal seal. Usual folds and very light toning; overall a handsome example. Ledòchowski (1822-1902) enjoyed an illustrious ecclesiastical career. Served as a papal diplomat in Bogota and Belgium. 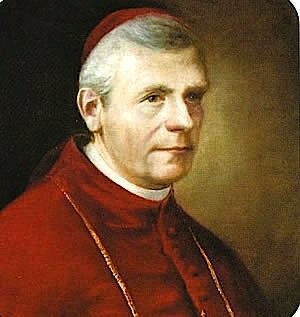 He was imprisoned by Prussian officials in 1874 but released the following year upon being named a cardinal and banished to Rome. In his last post he was Prefect of the Sacred Congregation for the Propagation of the Faith. The cardinal was uncle to Saint Ursula, the Blessed Maria Teresia Ledochowski, and Father Wlodimir Ledóchowski, Superior General of the Society of Jesus.